Heated up yesterday morning’s coffee; stumbled to the couch; stomach hurt; felt overwhelmed by too many projects, too many ideas, not enough years left, not enough money to quickly move ahead with everything I want to do. I decided not to take my early morning walk. But then as the guilt washed over my gloomy head, I thought…so what is it about any of this that will be made worse by walking–or better? Well unless wild dogs attack me and rip my stomach open it probably won’t feel any worse. And unless I run into a publisher who offers me a special writing/photography assignment due immediately – for a lot of money, or unless I find Mayor Berry paving over the Bosque, I won’t have anymore stress. And there’s always the chance the solution to all problems/conditions/issues will come to me somewhere along the way. And it does. The whole ditch bank is suddenly full of anthills. Busy organized single-minded ants busily doing their ant jobs. Not feeling sorry for themselves or being physically wimpy–just moving ahead with their jobs. That’s it the answer. Just Do It. 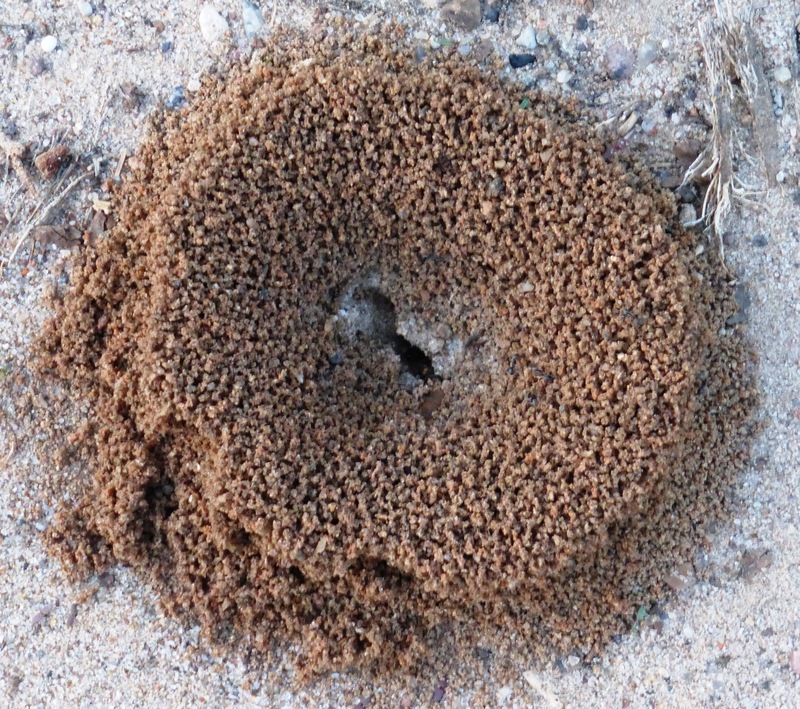 Posted on September 18, 2013, in Living LIFE and tagged anthills, walks. Bookmark the permalink. 1 Comment.